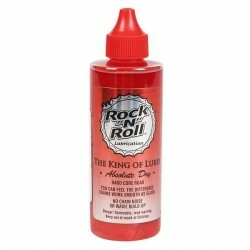 Rock'n'Roll Absolute Dry is a super clean chain lube, in fact, this lube is not a self-cleaning lube, it simply picks up little or no dirt. For road bikes only. 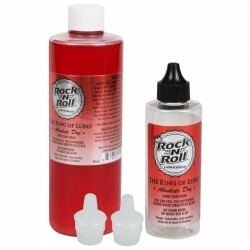 Rock'n'Roll Absolute Dry There are 2 products. ABSOLUTE DRY CHAIN LUBE This is a super clean chain lube, in fact, this lube is not a self-cleaning lube, it simply picks up little or no dirt. For road bikes only and at very dry conditions. ABSOLUTE DRY CHAIN LUBE This is a super clean chain lube, in fact, this lube is not a self-cleaning lube, it simply picks up little or no dirt. For road bikes only.